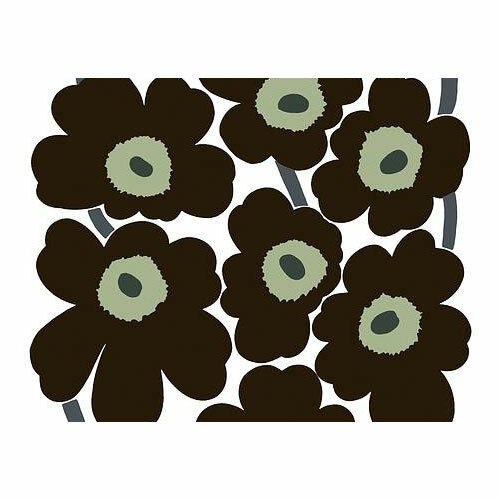 More about Marimekko Unikko Black / White Cotton Fabric The Unikko Marimekko poppy fabric in black displays black flowers with khaki green centers and dark chocolate stems. 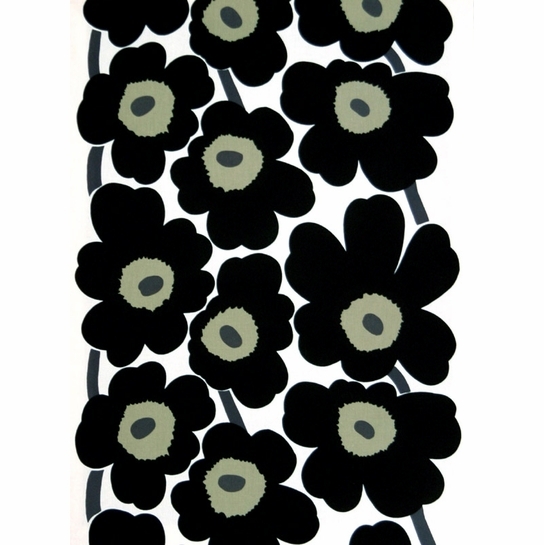 This popular poppy flower design was created by Maija Isola in 1964. 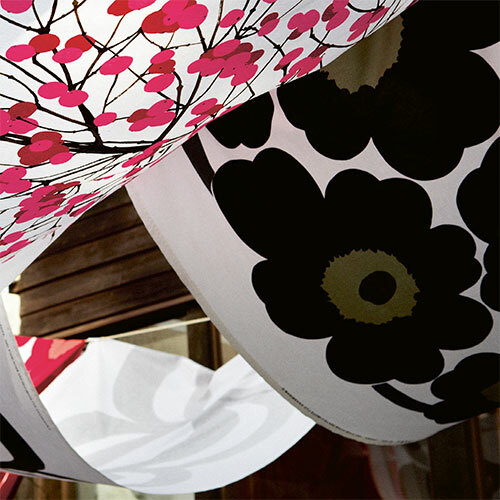 What is not to like - this fabric is a classic! I had trouble findind this size (pieni) as it was on back order on several websites. The customer service representative at FinnStyle sent me a personal note, tracked it down for me and sent it out within 24 hours of my inquiry. Is this fabric heavy enough for a table cloth?? 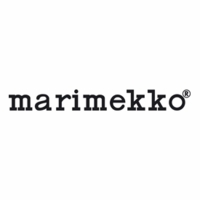 Is this fabric suitable weight for a shopping bag or tote? 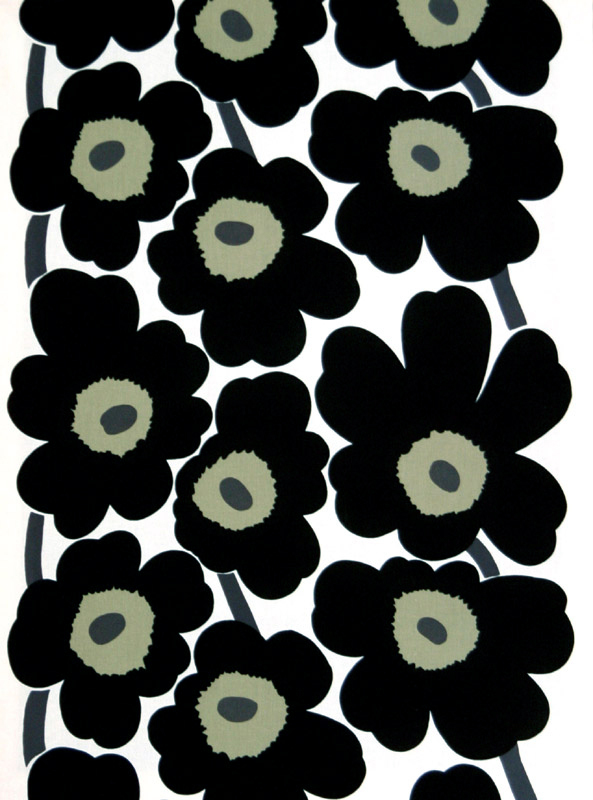 Is this fabric suitable for upholstering dining chairs? This fabric is not recommended for Upholstering as it is not heavyweight enough and may tear with use. How heavy is this cotton. I'm looking for a a sturdy, light canvas fabric.